In summary the phrase. 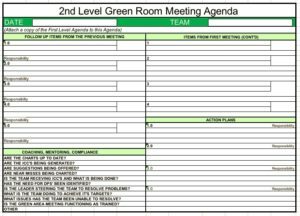 ‘Green Room Meeting’ refers to the place where the members of a specific department or work area gather to discuss their performance either daily or weekly. 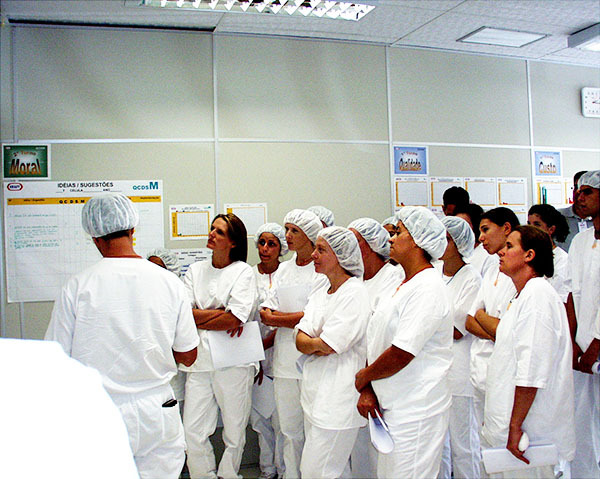 A 2 or 3 shift operation would have a Green Room meeting specific to their shifts. The purpose is to ensure that their are meeting their targets as a department or work area. 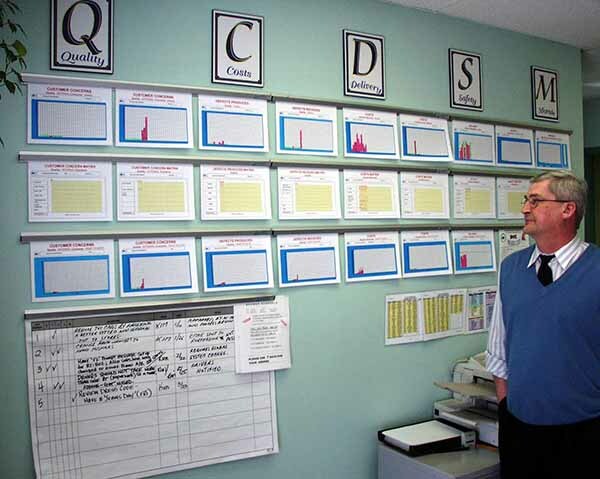 Displayed on the walls of the meeting place are charts under the categories of Quality, Cost, delivery, Safety and Moral (QCDSM). 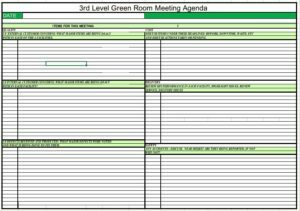 These are updated regularly and during the meeting they are able to discuss what is going right, what is going wrong and what they can do about continual improvements and the resolution issues. 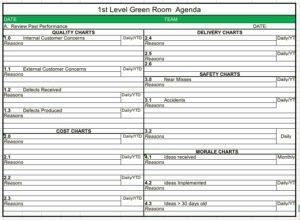 The use of the word ‘green’ assists the personnel to focus on continuous improvement as ‘green’ can refer to ‘new growth’, or ‘green’ is ‘go’ e.g. a traffic light or in some countries, ‘green’ is the colour of money!’ Companies are free to call these meeting places whatever they wish. Our choice of ‘Green’ helps to focus on the purpose of business in general and particular. 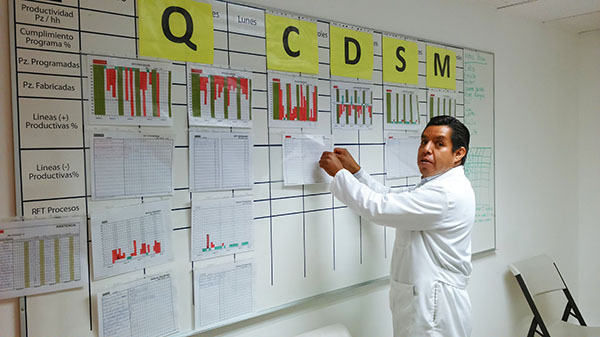 During the Green Room Meeting, the QCDSM methodology is applied. 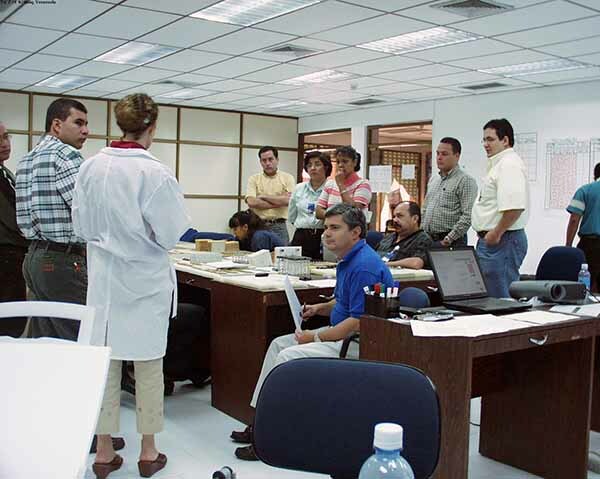 The participants begin to see how their department or work area is performing but all are presented with the “big picture” of how their facility and their company must continue to grow and compete in order to ensure their future. No matter what they have been able to achieve in the past, they must look for new and better tools to improve the way in which the business is managed and operated and in the Green Room, how this applies to their department or work area. Through this training session, participants realize very quickly that the QCDSM process gives them the necessary tools to do this. Specifically, the ability to involve all members of the area using visually charted measurements to gauge their performance to targets which in turn reveals how well they are using and implementing their written procedures (DPS). This helps to guarantee the on time delivery of products with consistent quality, produced at a competitive price in the safest environment possible. 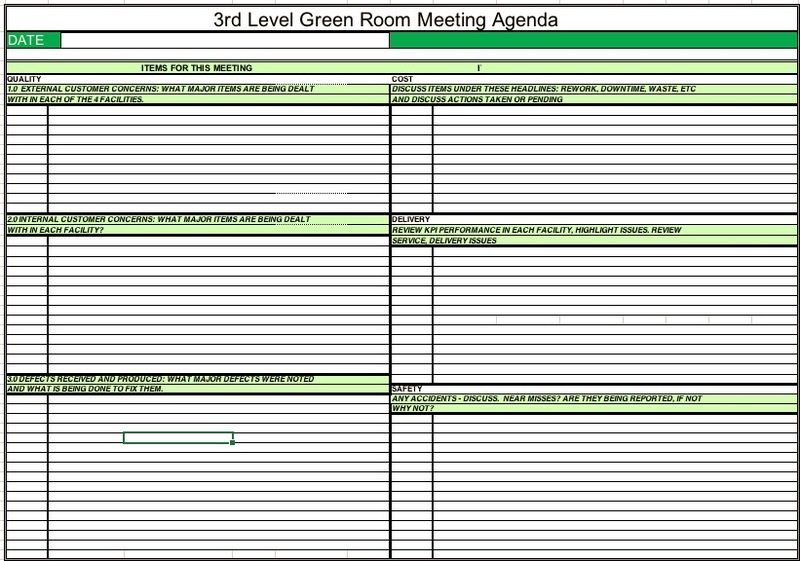 This explanation of the QCDSM methodology also includes full details on how the Green Room meeting (pictured above) should be set up. There is a specific format for the sets of charts. 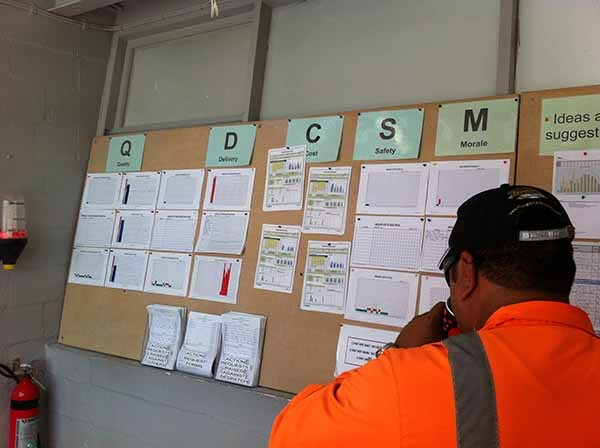 The charting format lays the foundation necessary for all in the Supply Chain of the company to communicate with each other if problems and issues arise. Two specific sets of charts deal with this supply chain issue. 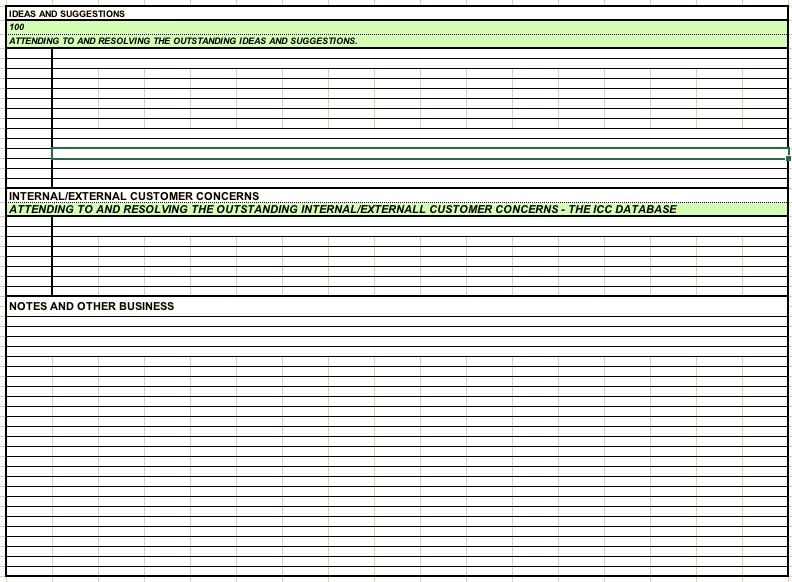 They are named External Customer Concerns and Internal Customer Concerns. of course all the measures are equally important. 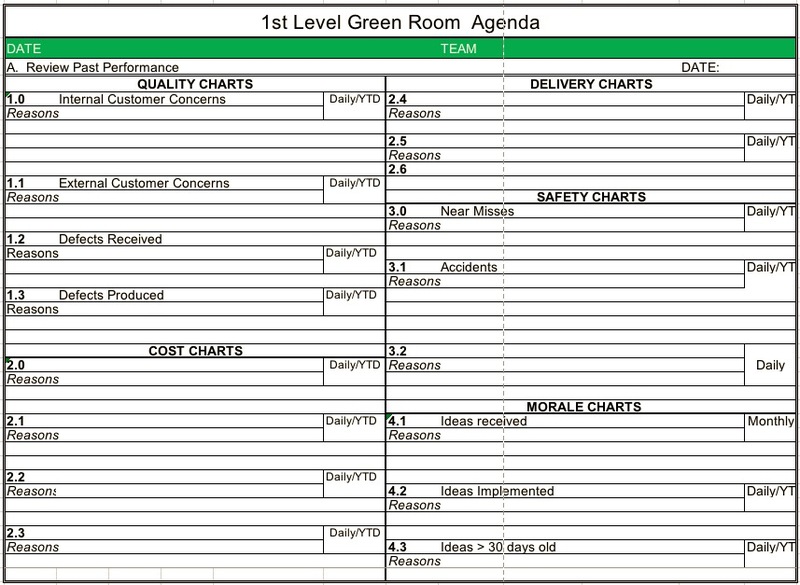 There is a template that is used to demonstrate the process of charting in a Green Room. 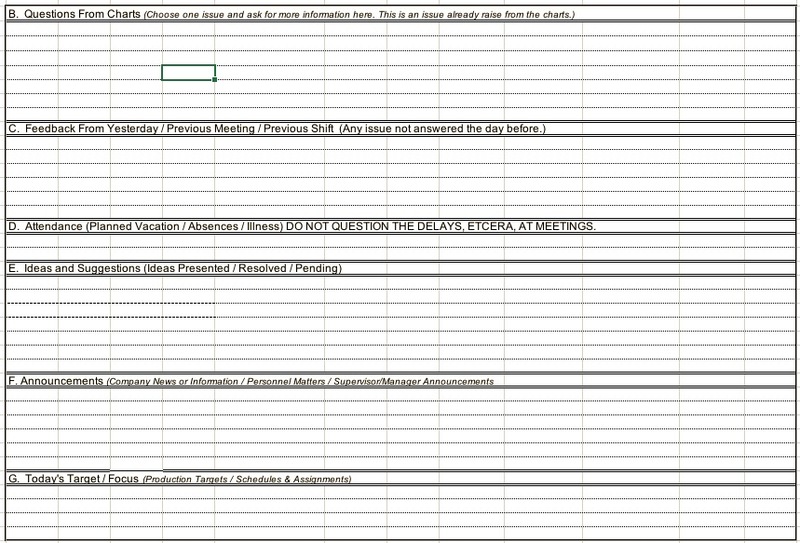 Each company is able to adapt/improve on the charting format to adjust to their circumstances. Various formats of the Green Room set up are possible. Here are a few examples to help you understand that this meeting ‘belongs’ to the people who have a major say in how it is delivered. Here are some pictures showing various Green Room meeting setups. 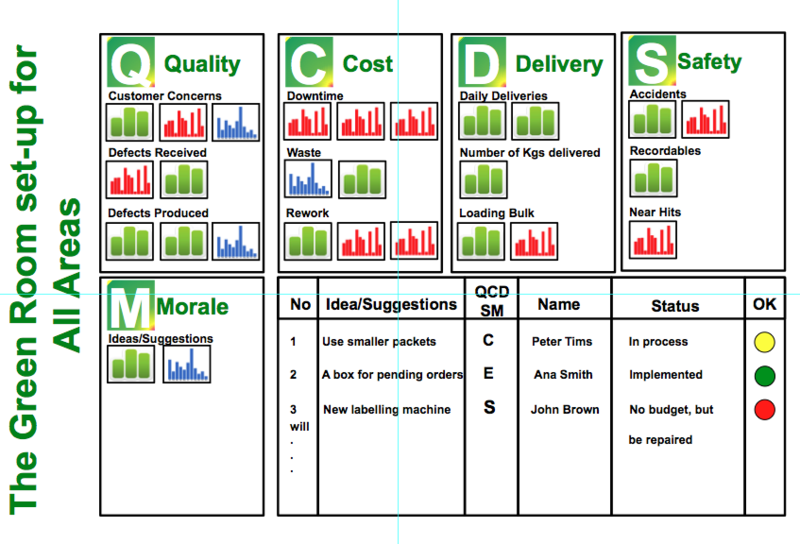 In all the categories but especially with the Quality Charts, the 3 displays are very important. 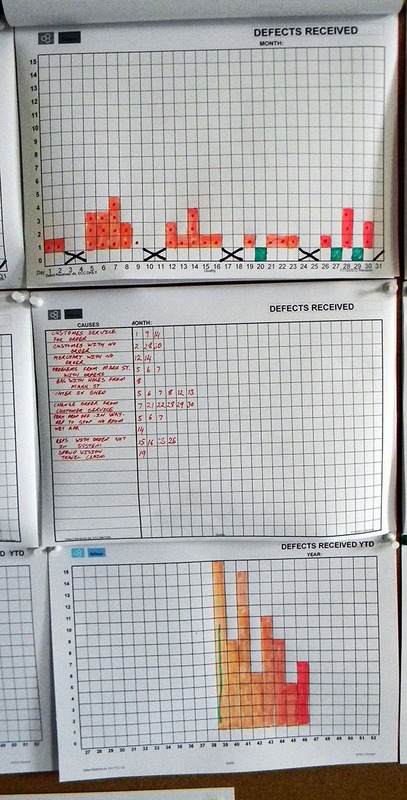 It is necessary to record how many issues are reported daily – The Raw Data Daily Chart. Then, to explain the issues, is the most critical MATRIX chart. Finally, to summarise the issues weekly this is done in the YTD (Year to Date) chart. 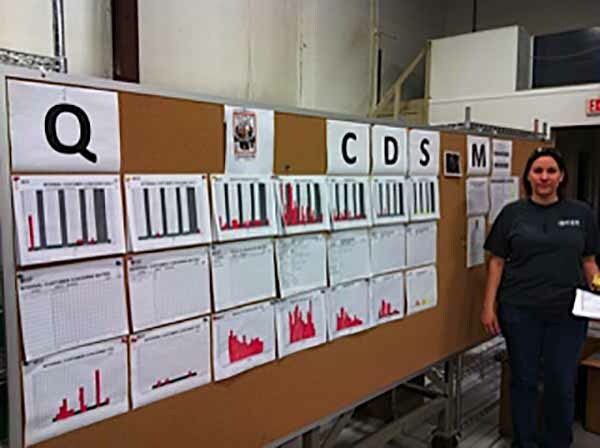 Here is an example of a Defect Received Quality chart from a company. 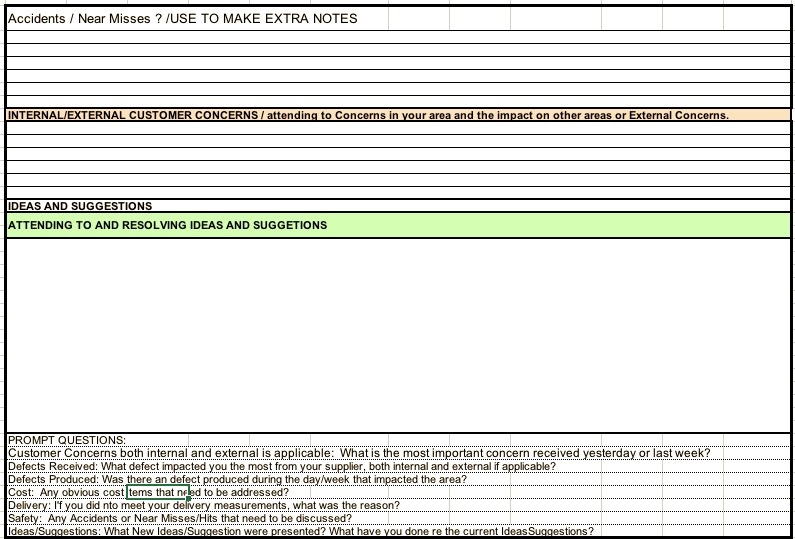 Note in the top chart that each day of the month can show issues that need to be recorded (in Red) and no issues (in Green). This is translated in the Matrix chart – the next chart below – into what the issues were and next to each issue, in each block, horizontally, the date of the issue is recorded in Red. If the same issue occurs on the same day or any day after this, every issue is noted in a separate block each time. The horizontal lines of blocks makes up what is known as a Pareto chart. Finally, every week the issues are added up and recoded according to the weeks of the year – the third chart. A full picture of the performance of that section is being recorded in terms of how well they are being serviced by their Suppliers, A Defect Received means that they did not receive from their supplier/s, either Internal and/or Externalwhat was expected. The Daily, Matrix and Year To Date examples. 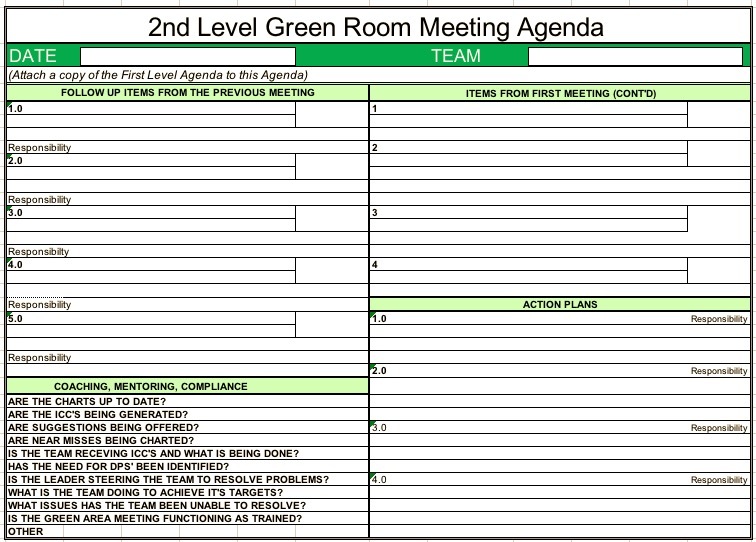 In order for the meeting to be productive, effective and involve all, fixed agendas are used. These enable the meetings to be effective. The sections in the Agendas have been proven to facilitate this process. Below are examples of a 1st level, 2nd level and 3rd level and above Agendas. Of course the major reason for the meeting is to view data from their area. At the conclusion of the training, QCD Systems will assist with the setting up of Green Rooms in the designated departments. A timetable is established which sets specific dates for the remaining training sessions and also outlines specific tasks that must be completed prior to the actual training. Included in these tasks is explaining how data is collected and how to post it onto the charts. As the final sections of the Green Area Meeting Training Module are presented, participants gain an understanding of how the QCD System is established. Those attending are given the responsibility of preparing their areas for implementation and the onset of a “new way of doing business.” It is at this point and during this training, that the linkage between their experience in the Try Z seminar and the translation of that experience to real life is made. 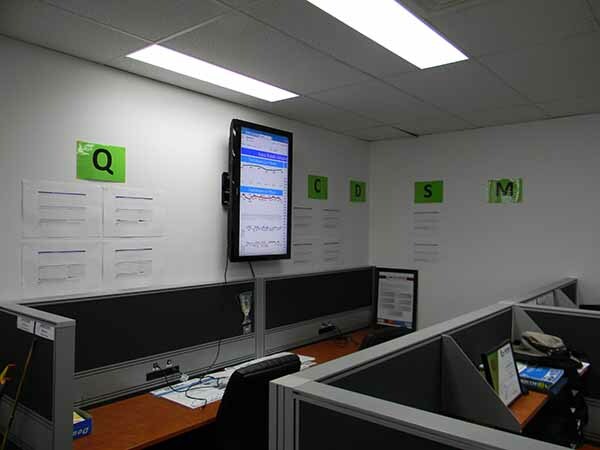 The training of the leaders and their assistants on how to actually present a Green Room session is of prime importance and QCD Systems provides that specific training once a start-up date is decided on by the company. A number of practice runs are done to ensure a smooth start up. 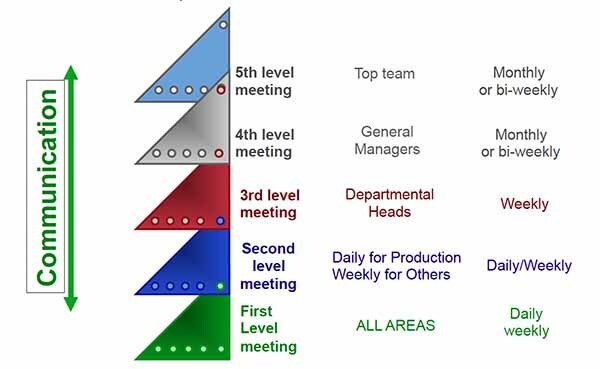 The Green Room Meeting structure throughout the company depends on the levels of management in each company. 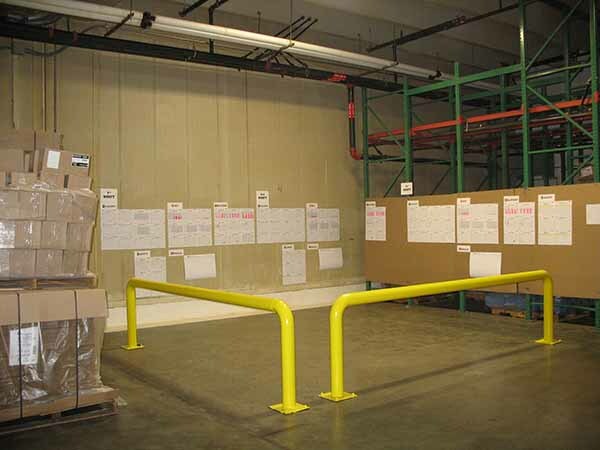 This structure is critical to ensure that the Supply Chain is operating correctly.